The mists of the Kakabeka Falls reveals a rainbow. The rainbow disappears into the falls. The water from the edge of the cliff is a wonderful blur. Evergreens surround the beautiful view. 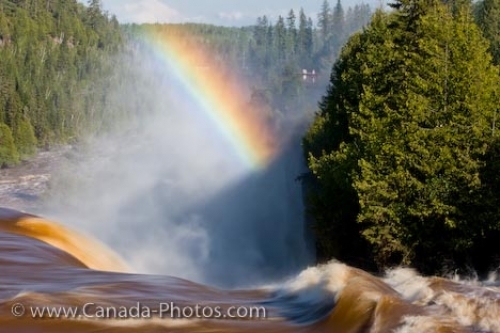 The mists of the Kakabeka Falls reveals a beautiful rainbow.